Advent is about getting ready for the coming of Christ. How do we get ready? We prepare. 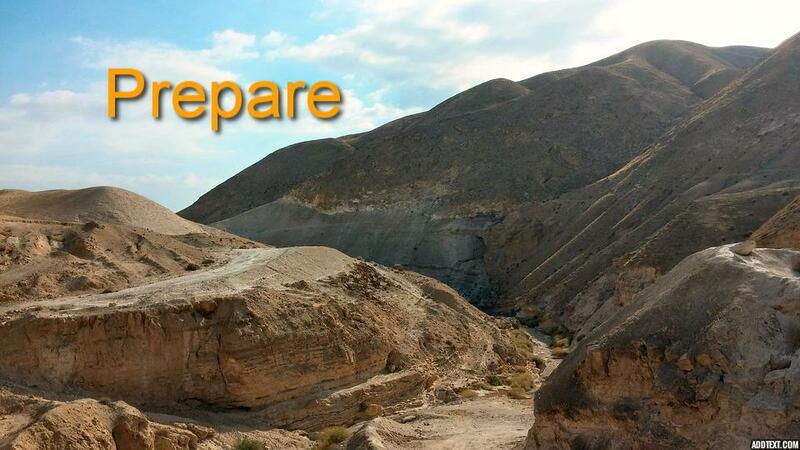 The Advent Word for today is 'prepare'. At this time of year, preparing for Christmas, we can become so focused on private preparations for friends and family like preparing food and presents, that we lose sight of the bigger picture. The bigger picture involves preparation of heart, mind and will. It involves commitment to God's kingdom values of justice, love and peace. for the mouth of the Lord has spoken'. That quotation from Isaiah is part of a much larger prophecy about God coming in power as both Judge and Saviour. What are the rough places in my life, community or nation that need to be made smooth? Thinking about the answer to that question may lead to repentance and commitment to do something that contributes to putting things right.